Rangashala: Nepali swimming: headlines or flatlines? 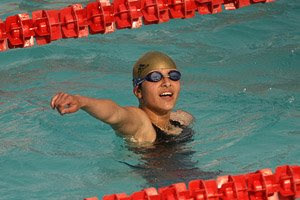 Karishma Karki was undoubtedly the star of the 5th National Games after bagging 12 gold medals in the swimming pool. The amazing feat certainly might get the casual sports fan believing that the young Olympian has a real shot at an Olympic medal in the years to come. Unfortunately, a little research shows that it is unlikely that Karishma stands a chance at even securing a medal at the South Asian Games let alone the Olympic Games. All the credit in the world goes to Karishma. Certainly she must have put a massive amount of effort to accomplish what she did. You just don't jump into a pool one day and win 12 gold medals. However, it would be dancing around the truth to not admit that her records might actually speak volumes about the poor state of Nepali swimming than her own accomplishments. Karishma herself admitted in a great feature on her in the Rising Nepal that she was disappointed she could not break any of the existing national records in swimming during the 5th National Games. Here is how far Karishma is from winning an international medal: during the 2008 Beijing Olympics she completed the 50m freestyle in 32.35 seconds. Just to make the semi-finals in that event she would have had to swim under 26 seconds. That is a massive difference of over 6 seconds! Each of the three South Asians (one each from Pakistan, Maldives, Bangladesh) participating in the same event bettered her time. Similarly, she won the National Games gold medal in the 100 meters backstroke in 1.28 seconds. That is nearly 20 seconds off what it would have taken to garner a bronze medal at the 2006 SAF Games in Sri Lanka. All this is not meant to be an attack on Karishma or Nepali swimming. It is just a reminder of how far Nepali sports has to go if it wishes to make even a ripple internationally. Claim FREE satoshis from Easy Bitcoin. 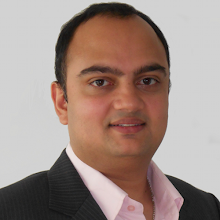 11 to 33 satoshis every 10 minutes.